We are surrounded by invisible WiFi signals and may more signals around us. This is especially true in urban settings. The team at YOUrban.no (Timo Arnall, Jørn Knutsen, Einar Sneve Martinussen) has conjured up an instrument that shows the WiFi signals as a bulbs lighting up in a rod depending on the strength of the signal. And they captured this as long exposure light painting photopgraphs. 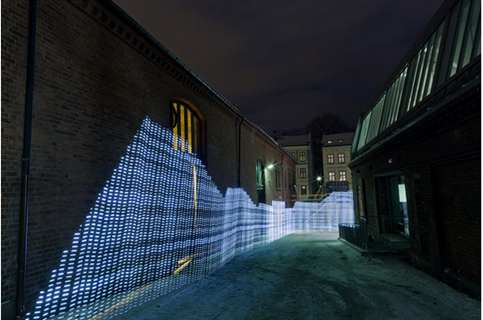 This creates a haunting visual effects on urban landscapes. Check out the video below to see this in action. Sounds all techie and exciting. The haunting visual effects looks very real. Everything about this blog interests me, I’ve come across very interesting posts. I’m feeling well informed reading your posts.